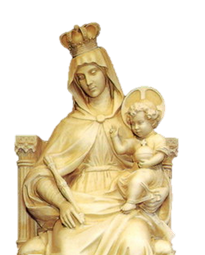 The Company of Mary (also known as the Montfort Missionaries) is an international Religious Congregation in the Roman Catholic Church, dedicated to the establishment of the kingdom of God under the patronage of Mary, the Mother of Jesus. It was founded at the beginning of the 18th Century by Saint Louis Marie Grignion de Montfort. Today it numbers just under 1,000 priests and Brothers, who carry out their mission in around 30 different countries. To realise his idea of parish missions, as a means of revitalising the faith in the most marginalised suburbs and country areas, Louis-Marie Grignion, while still a young priest, wanted to gather priests around himself for preaching and the administration of the sacraments, and some lay brothers for material organization, leading meetings, celebrations, processions and the teaching of the catechism to the marginalised poor and to the children. For many of these last, this was an opportunity to learn how to read. Montfort had found to help him, a young man of 18 years old, named Brother Mathurin Rangeard who, without ever taking religious vows, accompanied him for many years in the parish missions and remained faithful to him all his life. Other brothers: Gabriel, Louis, Nicolas and Philippe, joined two priests: René Mulot and Adrien Vatel, and a number of lay auxiliaries such as Jean, Jacques and Mathurin. They formed the first core of the Company. The brothers - with or without vows - soon split into two groups: the first were more concerned with material aspects of the mission and the leadership of the assemblies, like Mathurin, a remarkable singer. The others formed, reflecting the wishes of Montfort, "the Brothers of the Community of the Holy Spirit, for the running of charitable schools". So, Jacques was to try to create in St. Laurent, a school for the children of underprivileged families. During the 19th century, the development of foreign missions was to bring Fathers and Brothers of the Company, like so many religious of other communities, to work together for the service of the church in evangelisation, and the development of peoples. The Brothers in particular enriched the Mission with their talents as builders especially, as agriculturists, secretaries, leaders in catechesis and in liturgy: services that they continue to offer with the help of the computer and the internet. Today, around the world, Fathers and Brothers live in complementarity. By their service in pastoral areas, magazines, retreats, pilgrimages, or their professional commitments, they realise the apostolic project of St. Louis-Marie: to remind Christians of the seriousness of their baptismal promises while working for the coming of God's Kingdom. All entrust themselves to the Blessed Virgin, Mother and daughter of the church, patron of our Congregation, in order to move forward together in the pursuit of a "new evangelization".